The Amethyst bouquet is truly a gem to behold. 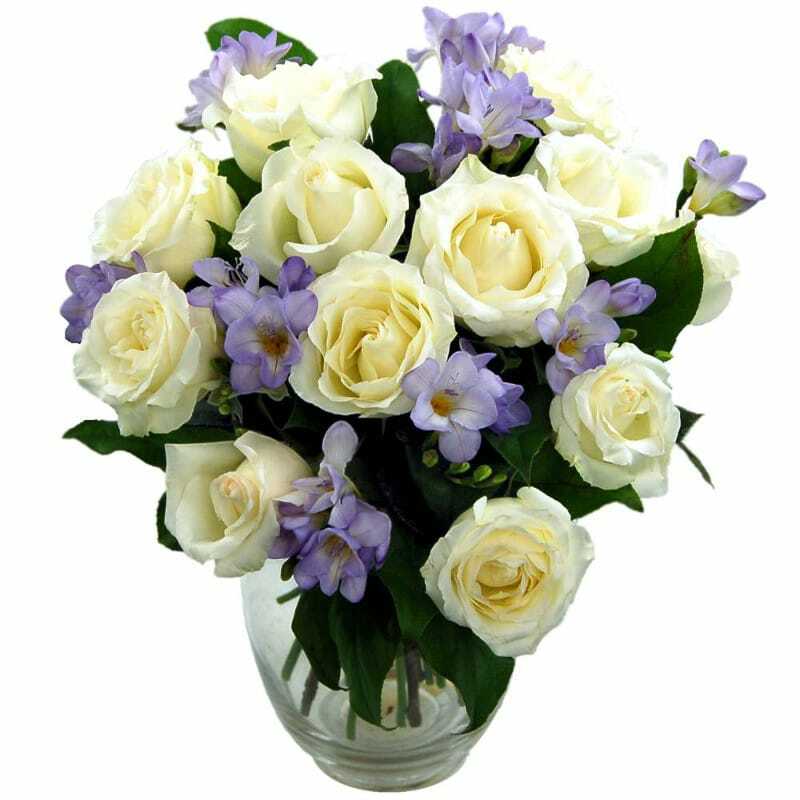 With its crisp white roses, purple freesia and lush green foliage, this beautifully soft and delicate bouquet will look and smell amazing wherever it's placed around the home or office. We're absolutely crazy about this gorgeous bouquet full of the finest quality roses and freesias. Hand-selected by our expert florists and tastefully arranged, this eye-catching Amethyst Bouquet is the perfect gift to buy someone for anniversaries, birthdays and every holiday in between. Your fresh Amethyst bouquet can be delivered 7 days a week throughout the UK in our special delivery box to prevent damage while in transit, so they arrive in excellent condition, all for just £21.99! For that extra special personal touch, why not add a Handwritten Greetings Card, a delicious box of Lily O'Brien's Chocolates, a chic glass vase or an adorable teddy to accompany your beautiful fresh hand-tied Amethyst bouquet.